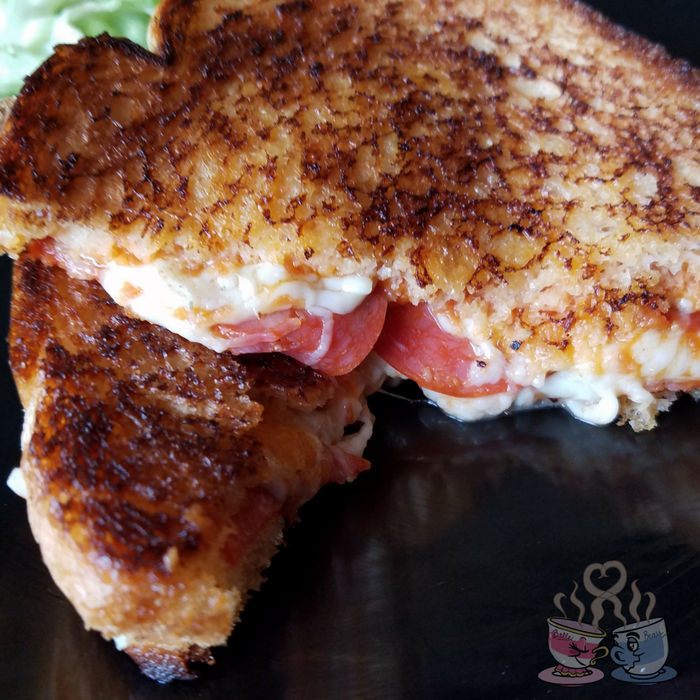 Pizza Grilled Cheese is an amazingly delicious combination of our favorite things! 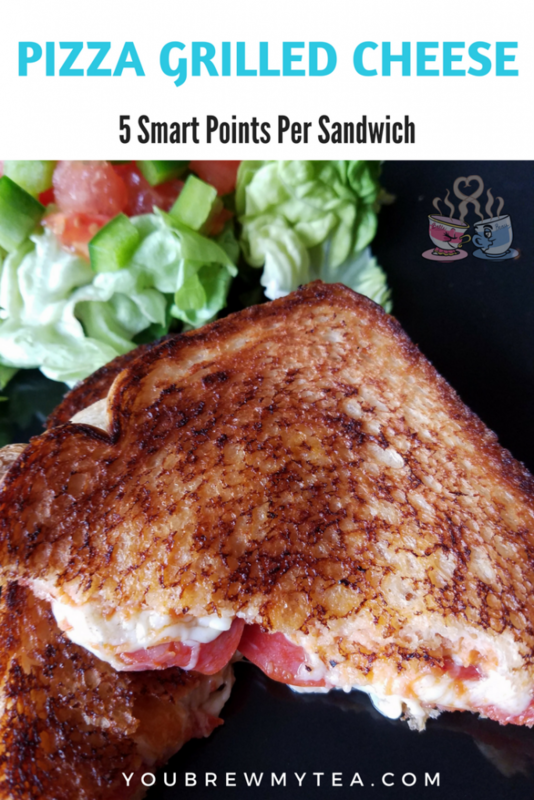 I absolutely love that I have been able to make this a Weight Watchers recipe that is only 5 SmartPoints per sandwich. That means I can have this, with a salad, or a small cup of soup for lunch and still stay within my points! Plus, the Wee Child absolutely loves it! This post contains Amazon affiliate links. I earn a small commission through purchases made via these links. Making this pizza grilled cheese is going to be easy, and will fast become a favorite sandwich for your family. You can easily adapt it by using Canadian bacon instead of turkey pepperoni. You can even add in some veggies or pineapple if you are a fan. This can be customized easily for your favorite pizza flavors! Add margarine to skillet and allow to melt. Spread tomato sauce onto one side of each piece of bread. 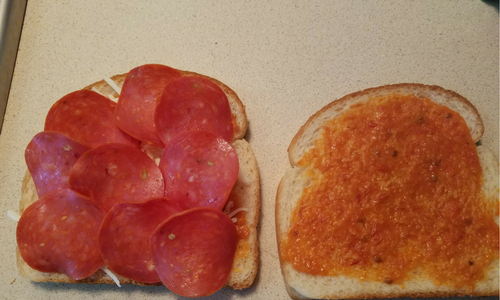 Place one piece of bread into melted margarine with sauce side up, and top with shredded cheese, turkey pepperoni, and an additional piece of bread. Toast on medium heat for 1-2 minutes or until browned. Flip and toast additional 1-2 minutes. Serve with a side salad or fresh veggies. 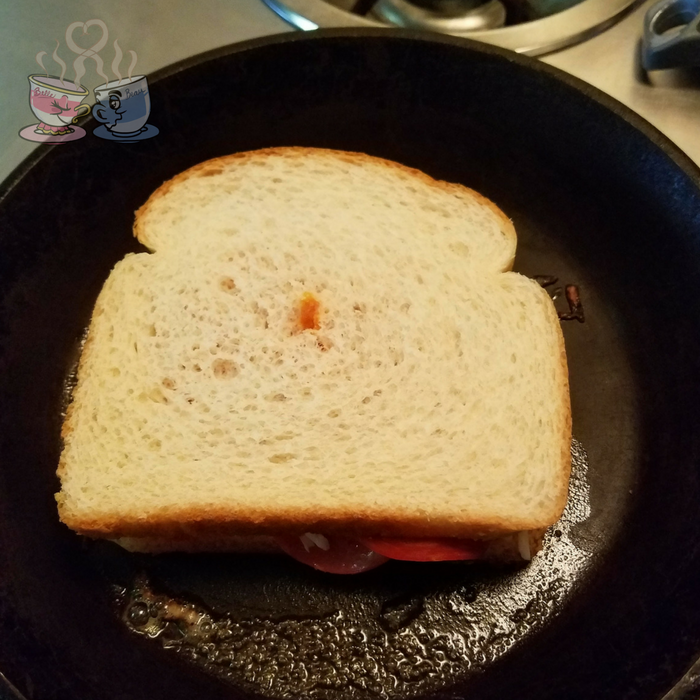 While I tend to make my pizza grilled cheese in a skillet using butter or margarine, you can easily shave off a couple of points per sandwich by using a Sandwich Maker and non-stick spray. I love this 3-in-1 Breakfast Sandwich & Waffle Press. It is ideal for making sandwiches, waffles, and more in just minutes. Plus, it shaves off the fat and calories when you avoid butter and use the non-stick spray instead. I calculated the points for this sandwich using my own account with Weight Watchers and the Recipe Builder within their app. While I am not associated with Weight Watchers, I am a huge fan of the program. I love that it encourages healthier eating habits while not limiting any specific foods. Pizza is okay when you are on this plan, and that is great for someone like me. You can also use the Weight Watchers SmartPoints Calculator to figure these points. 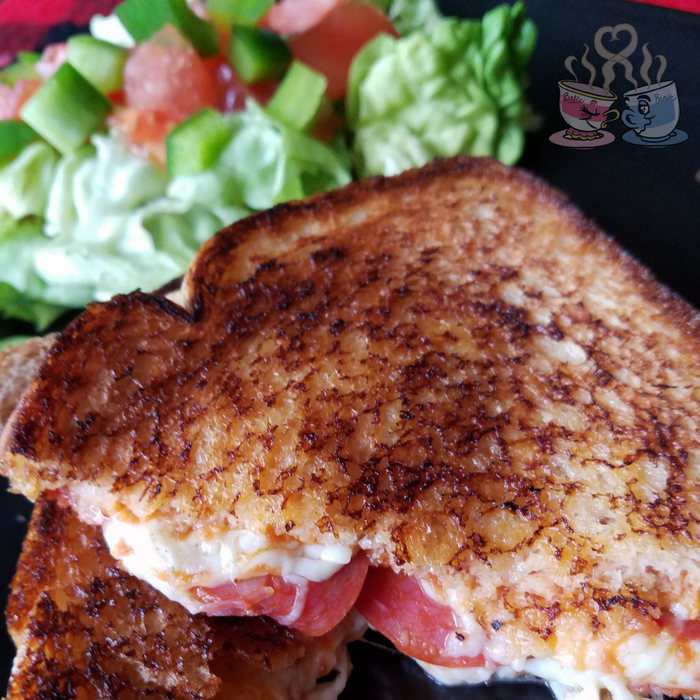 Whether you are making this pizza grilled cheese for yourself, your kids, or a group of friends over for lunch, you’ll love knowing that it is an indulgence you can have without guilt. I love having this with some salad, a few fresh veggies, or a side of fruit!